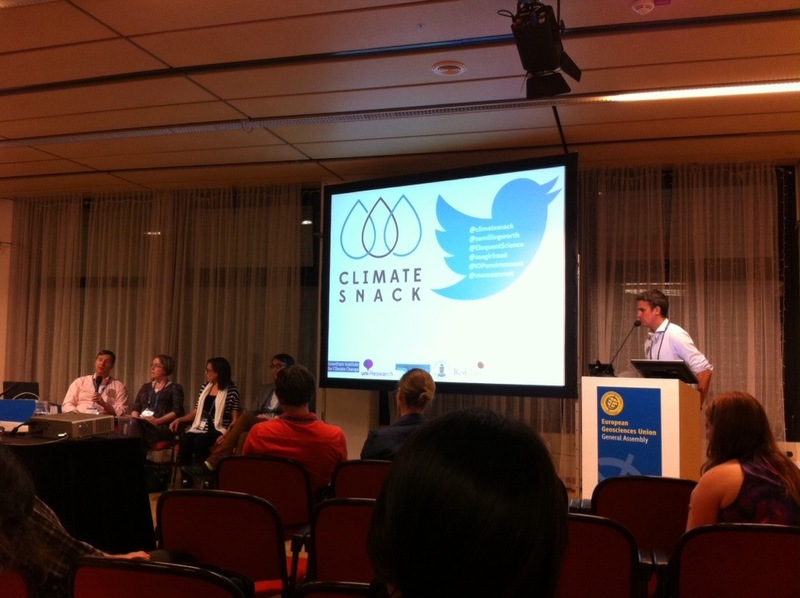 Farming for energy – do solar and geothermal power have a place in a modern farming landscape? 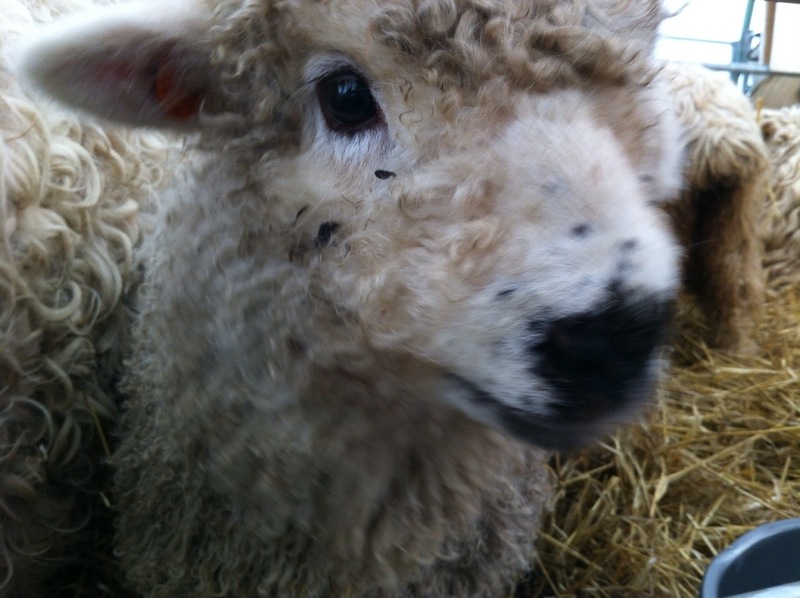 On Friday I attended the Devon County Show, at Clyst St Mary outside Exeter. Now I love the Show, and try and attend as often as possible. I love the crafts, the gardening, the livestock (I have a special place in my heart for the heavy horses and the Dartmoor Grey-faced sheep), but this year I was looking for something else – I was looking for energy. 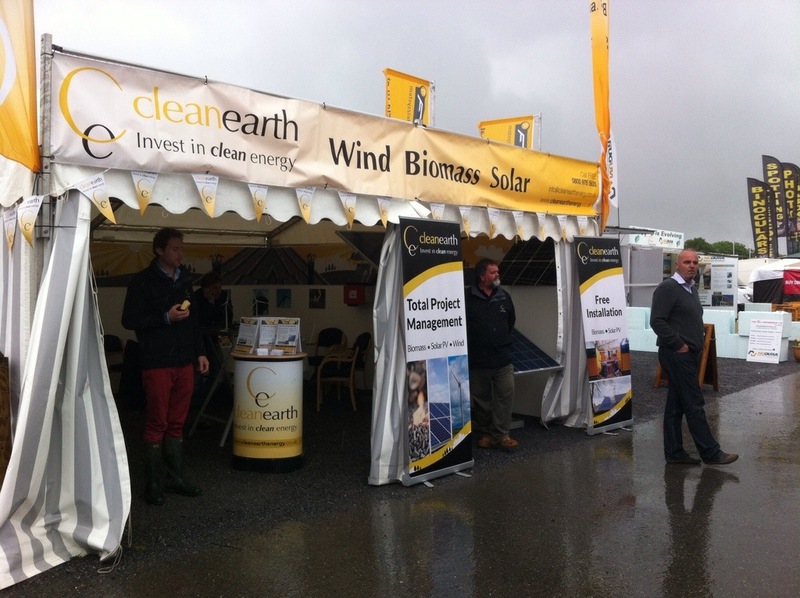 In the last 6 months I have begun to notice just how many onshore wind and solar farms there are near me and having an interest in geothermal power I wanted to see if this move into farming energy was represented at the county’s biggest exhibition of farming and rural life. What I found was pretty interesting. 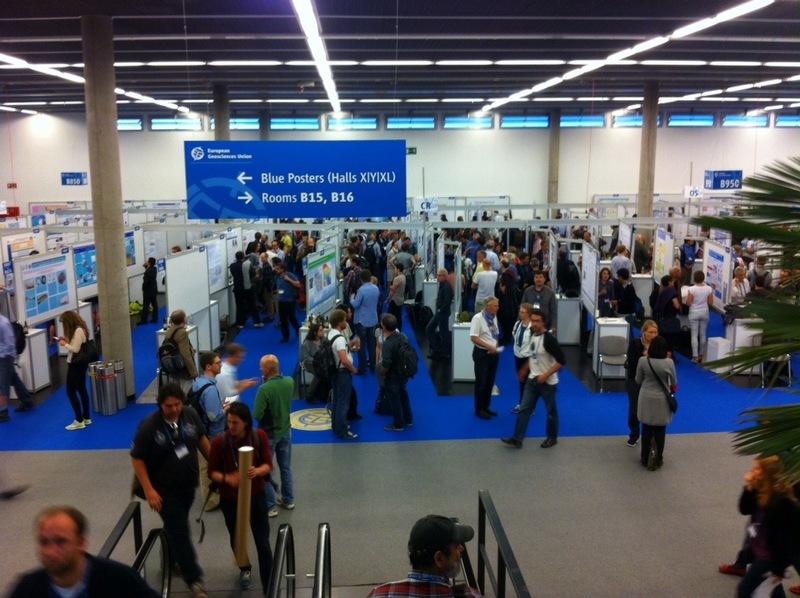 Energy farming was present at the show, but the largest contribution was for solar. 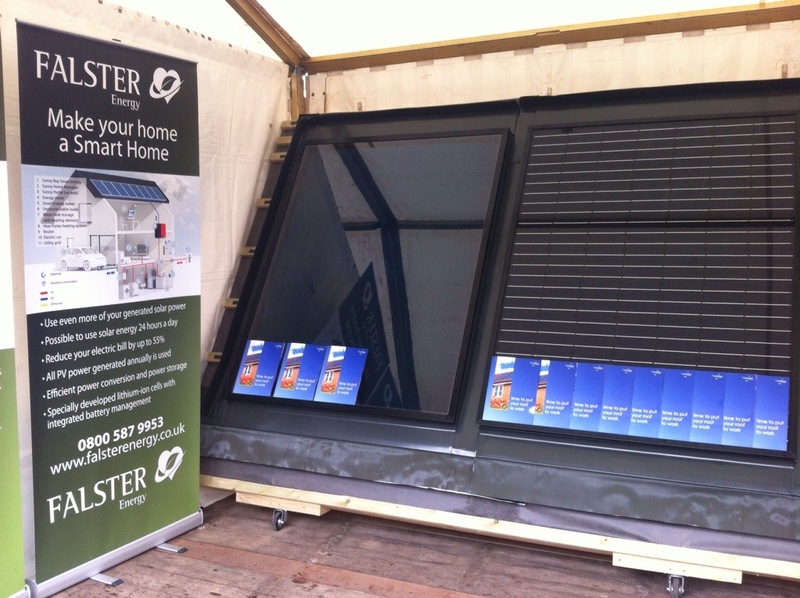 I spoke to one of the companies – Faltser Energy – about the use of solar by consumers in Devon. The sales representative, Greg Hockin, told me that it was a pretty mixed portfolio, especially for their company. A lot of products were for individual installations, but they also supplied to farms, most often as a supplement to activities (i.e. on a barn roof) than as a revenue generator. 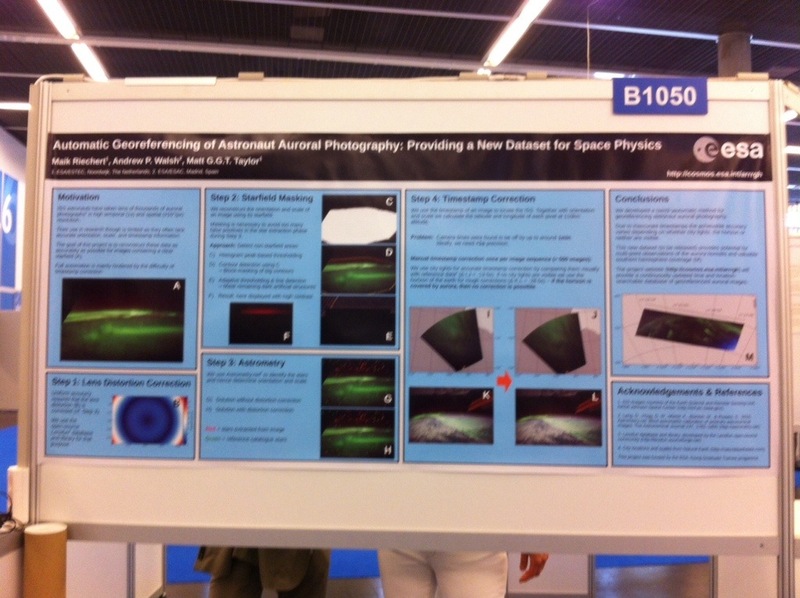 He also mentioned that they had developed a technique to colour the panels – something I had never seen! I understood the green or the blue, but pink solar panels?!? Seems a bit like an extreme choice for me!! Another thing that Mr Hockin mentioned is that all the panels were made in the UK. When I questioned him further, he did clarify that by saying that many of the components would be made overseas, for instance in China, then assembled in the UK and that got me to thinking about what a solar panel is actually made from…. 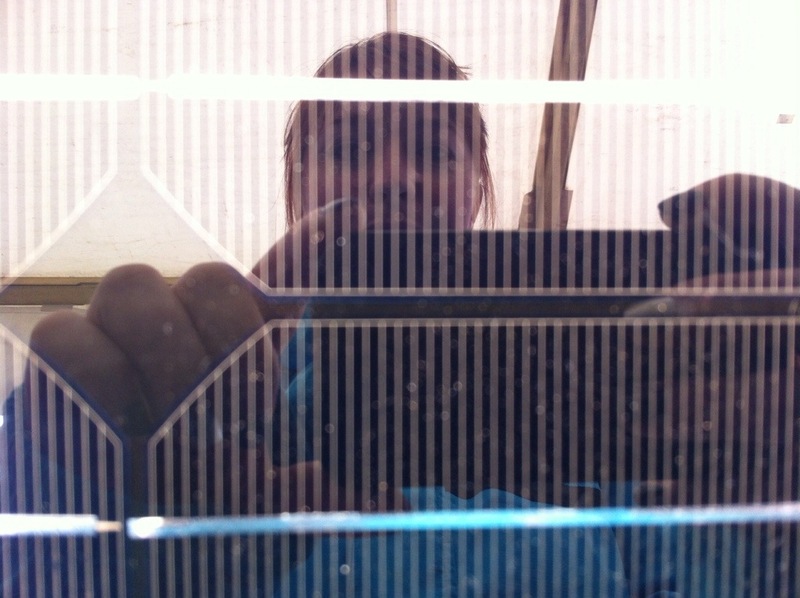 I’ve never really had a close look at a solar panel, but when you get near you can really see the crystalline structure of the panel itself. 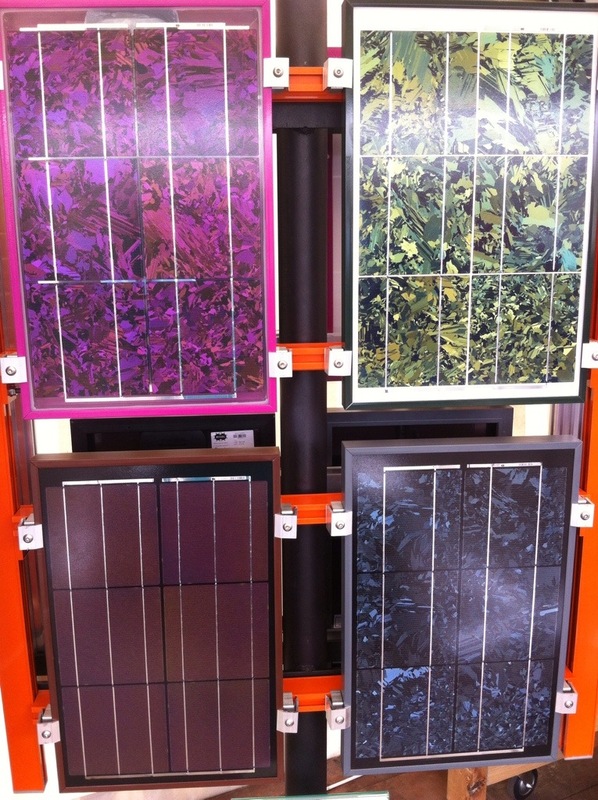 Solar panels are usually made with silicon crystals which provide the pretty crystalline pattern. They usually have another mineral added into the mix to make them more efficient, such as gallium arsenide, cadmium telluride or copper indium diselenide. One tricky thing with these compounds is that the source elements are all listed as under moderate to high risk on the British Geological Survey’s ‘Risk List‘, a list that calculates the risk to the supply of economically important elements. For four of the elements used, the main producer and reserve holder is China. So with China having the monopoly on these mineral’s supply and on production of many of the component parts, how much can you really say is made in Britain? And if we had to, could we make solar panels entirely from British products? Well the simple answer is probably not. 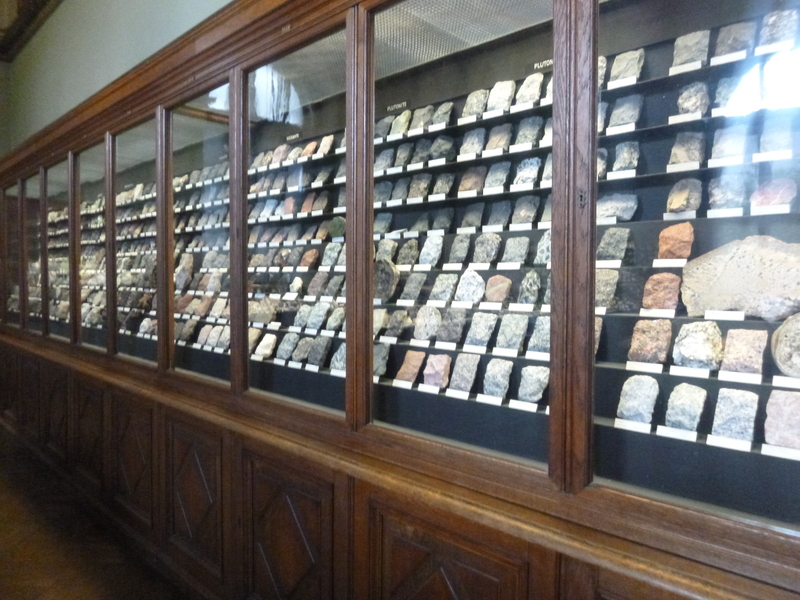 Although you can find many of these elements in their mineral forms in the UK either as an ore or a byproduct of processing that ore – none of them exist in quantities large enough to mine commercially anymore – our reserves are depleted. 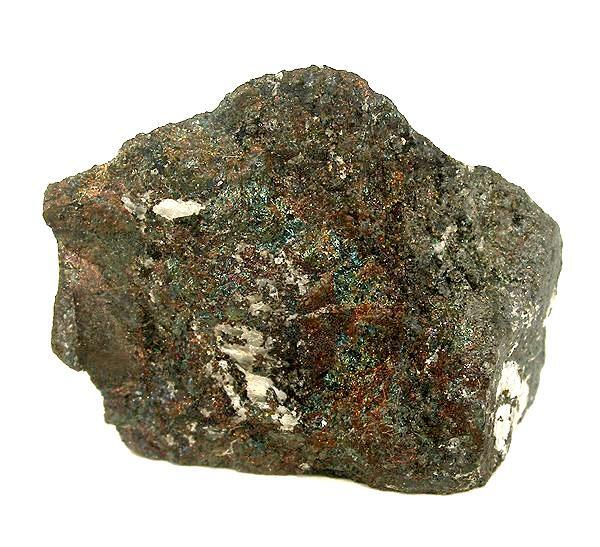 Gallite – an ore rock of Gallium. So do we have another option? 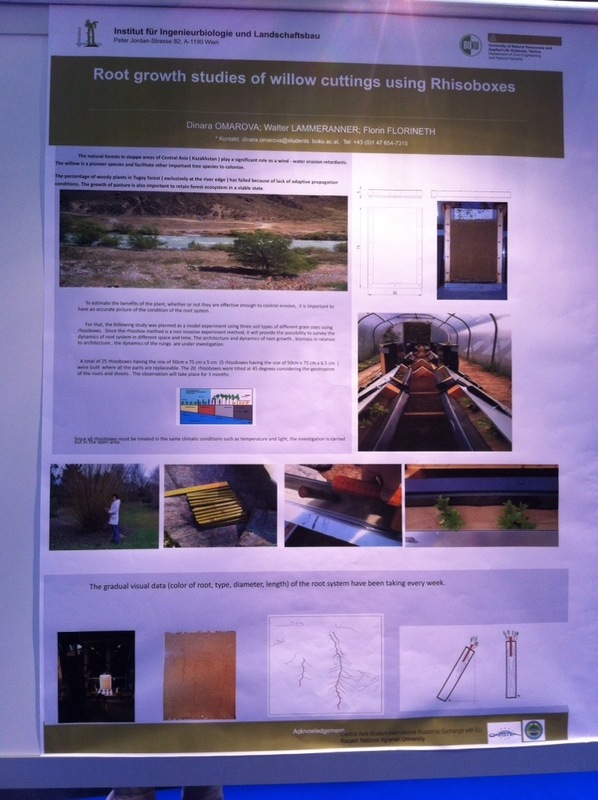 Well, although solar power is great, I have great faith in the future of geothermal, and at the Clean Earth stand, I met a young man, whose parents have adopted geothermal power on their farm in an interesting way. At Clean Earth, they are involved in leasing land from farmers to create energy farms – be it solar, wind or biomass. They have a number of success stories around the south west (anyone from down here may know about Crealy Adventure Park? They now have 2020 solar panels to supplement the Park’s use of energy from the National Grid), but I was most interested to hear about Mesmear Farm in Cornwall. At Mesmear, the Roses have combined a geothermal powered heat pump with solar panels to provide heat and electricity to the farm and the rental cottages they maintain. The geothermal heat pump makes use of the farms proximity to the massive granite batholith nearby and heats water to around 50°C for space heating and hot water from a ground temperature of about 11°C. To me this was an innovative use of combining a tried and tested (but limited) method of electricity production – the solar panels – with a new and innovative, but untested method of heat and energy production – the geothermal. The farm still draws from the National Grid, but only at times of peak requirement and it’s carbon footprint is much smaller. It makes me wonder how many farms, business and households across the South West (and in other areas where geothermal is an option) are using this low key, combined method of incorporating geothermal into their energy mix. I’d love to hear from you if you do!! 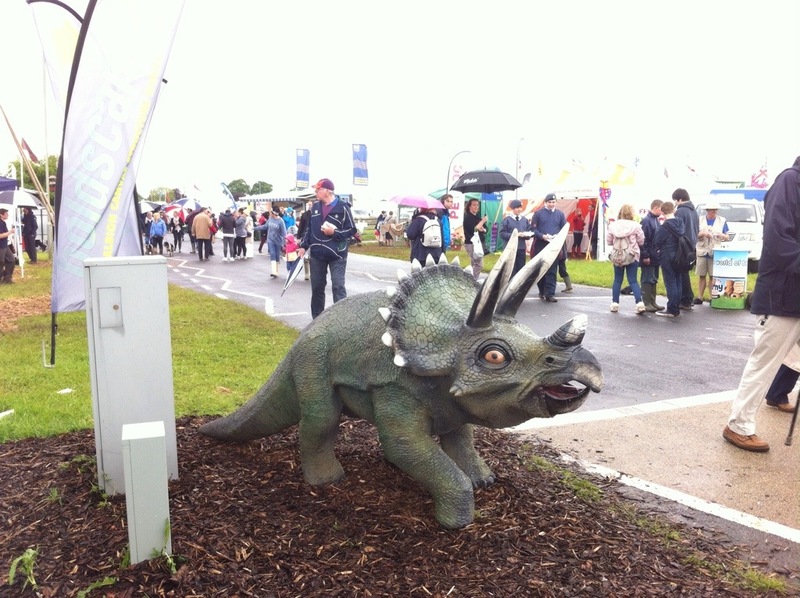 So there you have it, it’s easy to dismiss the Devon County Show as all mud and cows, but there are important things for geologists there too…. 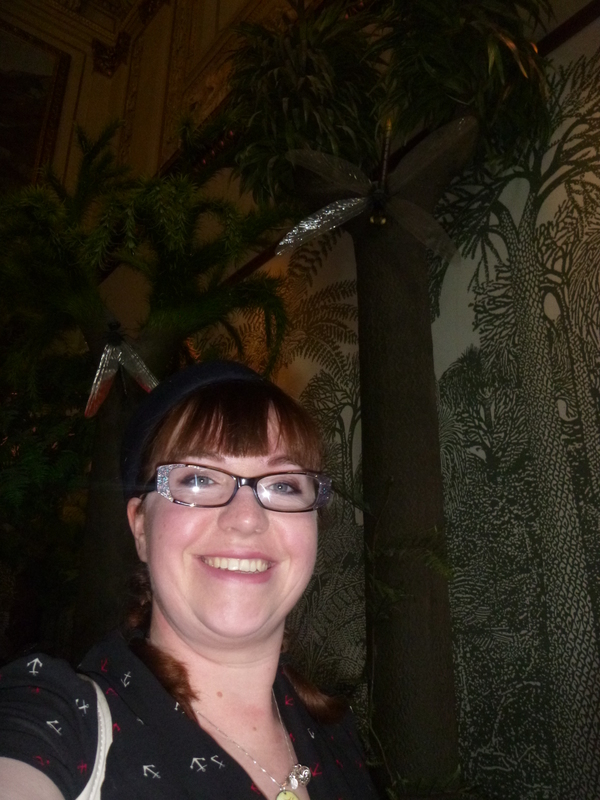 and the odd dinosaur! 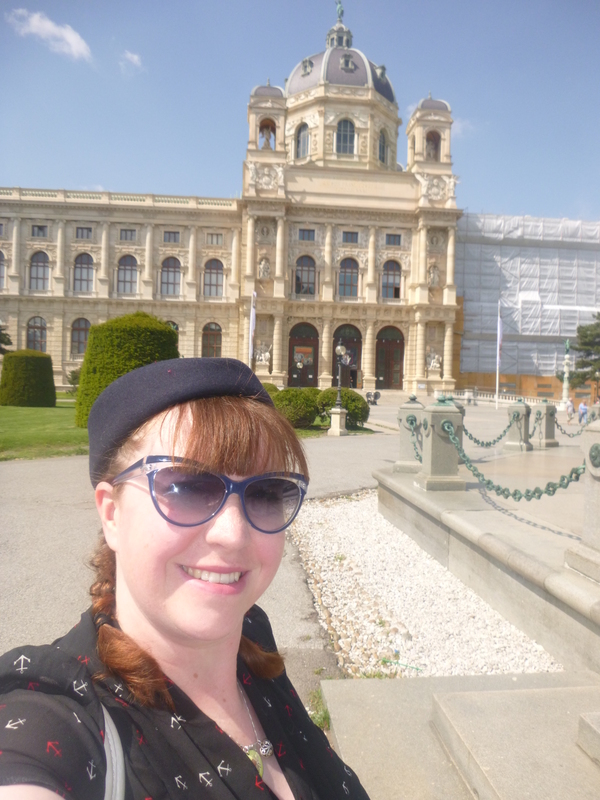 Whilst in Vienna I had a number of recommendations as to things that I should try and see during the conference. My mother, the art historian, suggested The Belvedere to see the Klimt paintings. My father, the hospitality expert, suggested visiting a Viennese coffee house. My supervisor, the experienced EGU delegate, suggested the Hundertwasserhaus (knowing that I appreciate interesting architecture). 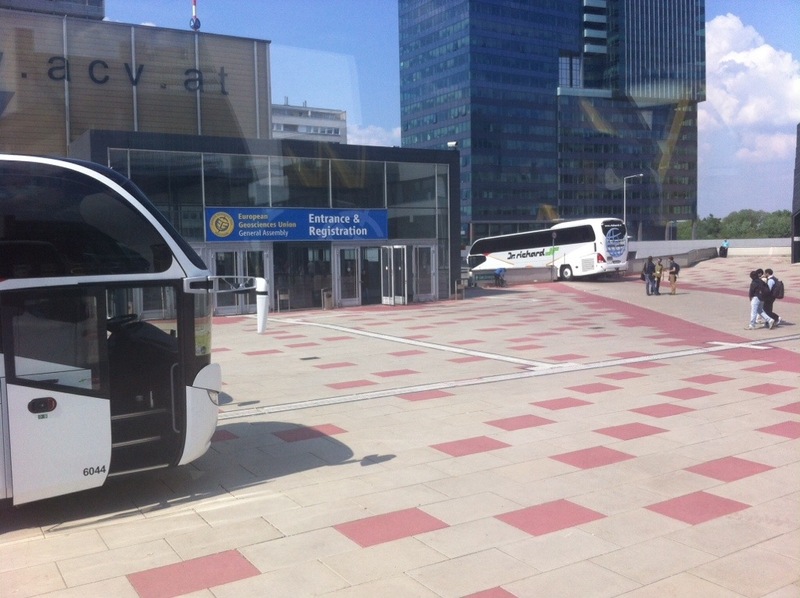 But the sad reality of going to a conference in a new city is that as much as you may want to explore the city itself, there is so much happening at the conference that you can hardly tear yourself away from that one building. 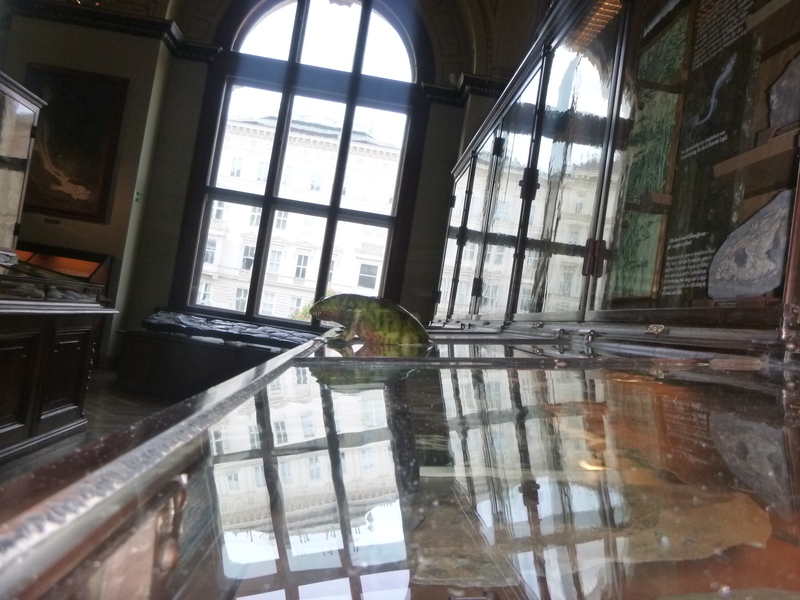 That is what happened with me and EGU – with one exception, the Natural History Museum (or Naturhistorisches Museum Wien -NHMW). 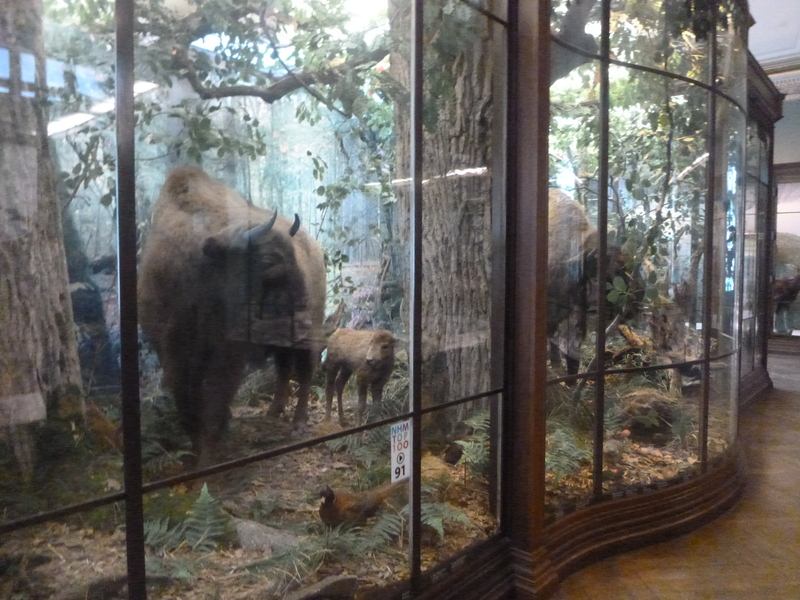 A lovely sunny day – to spend in a Museum. Yeah I’m a nerd. 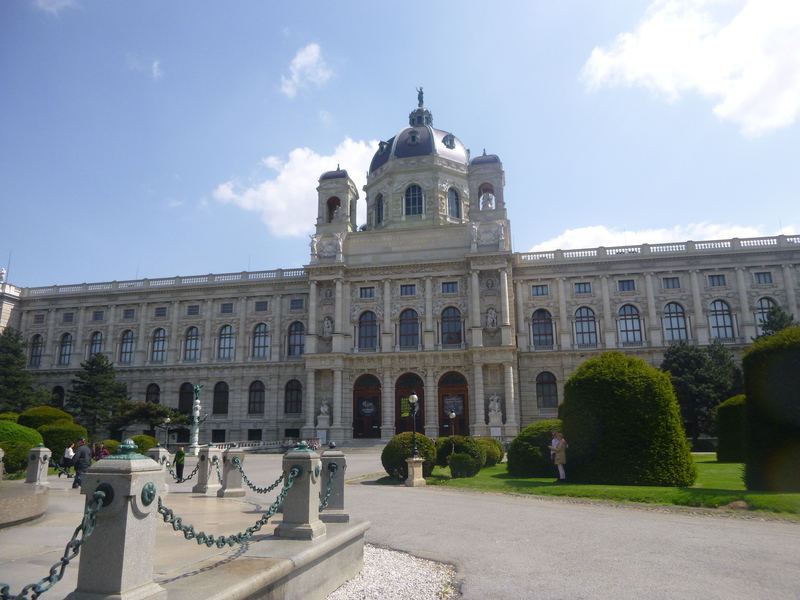 Now as a former employee of the NHM in London I have a strong appreciation for a good museum and the NHMW Vienna had been recommended to me by a few different people. 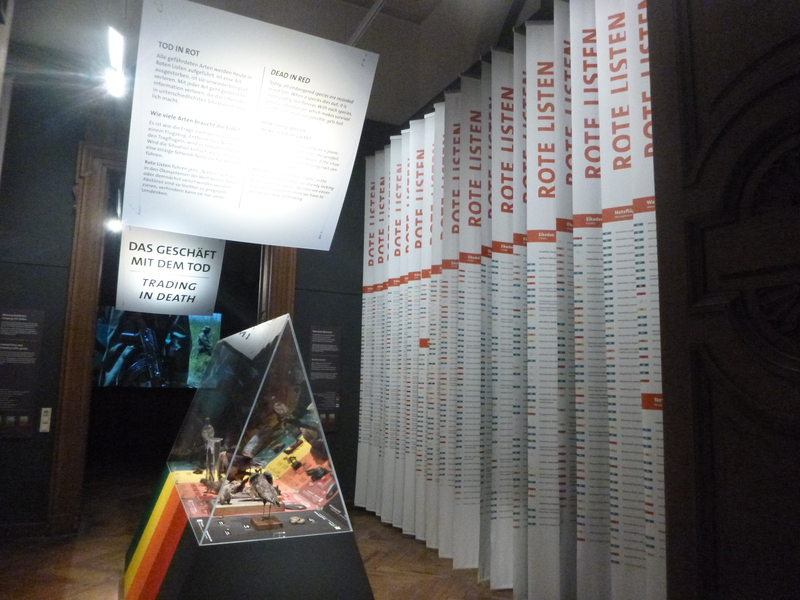 To be honest, if I could only visit one thing in any city – a museum would probably win. 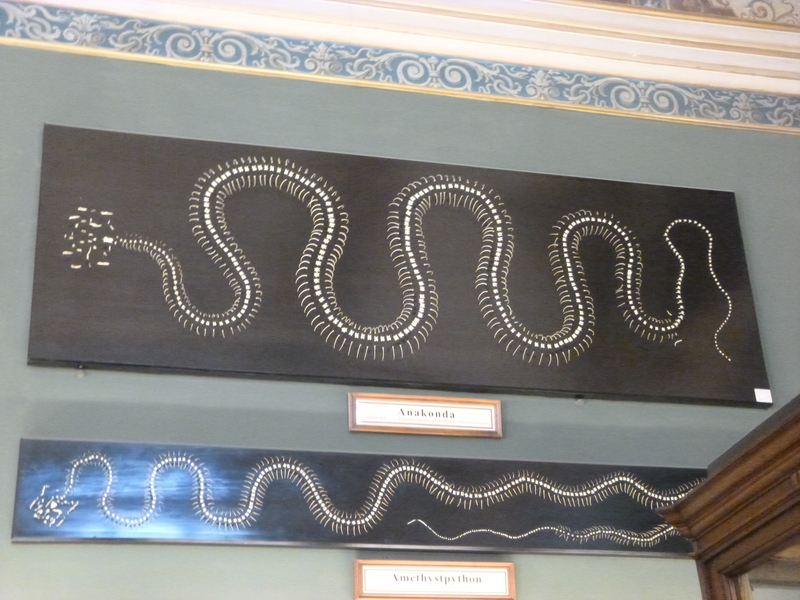 So one afternoon, when I had a two hour gap, I hopped on the train to the Museums Quarter. The first thing I noticed was that the building itself was beautiful – but in the process of being cleaned. Half of it, therefore, was obscured by scaffolding. Luckily the museum opposite, the Museum of Art History (or Kunsthistorisches Museum) was uncovered and in a mirror image represented what the NHMW would normally look like. 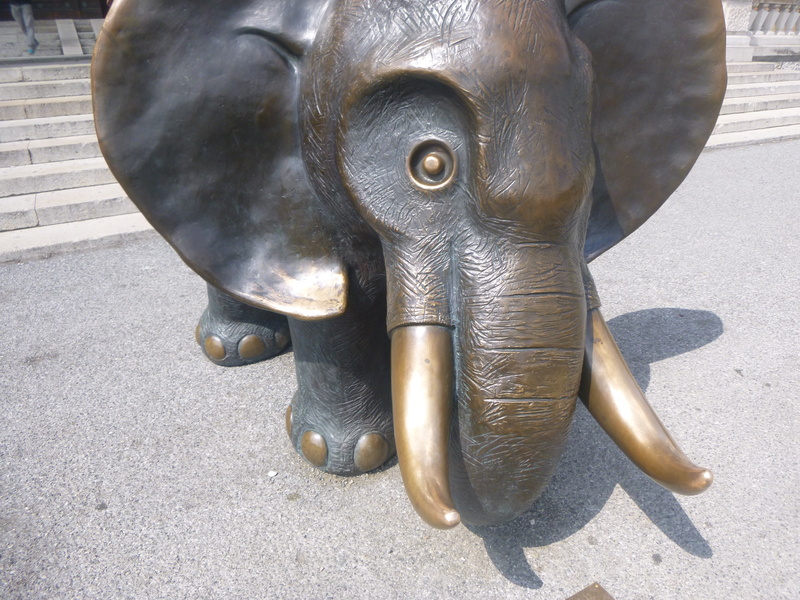 The NHMW was guarded by ths cute little elephant! 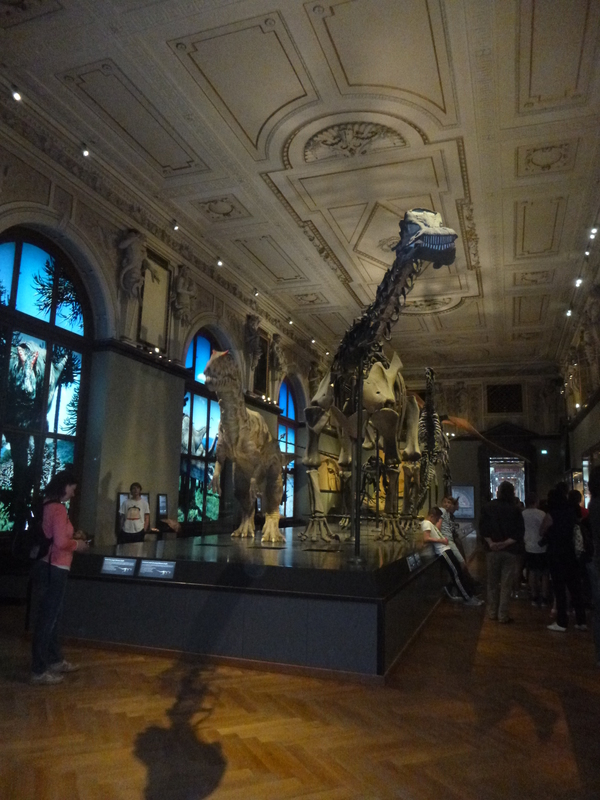 It cost €5 to get in (with a student discount) but that included entry to a special exhibition on Extinction. The Museum is divided between two levels, which can roughly divided into Life Sciences upstairs and Earth Sciences downstairs. 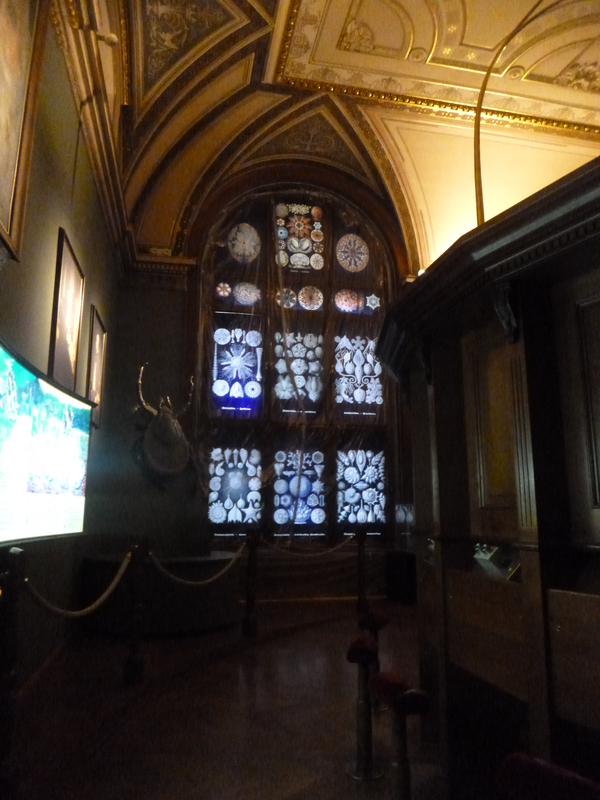 One of the sections was closed for refurbishment; the human evolution and anthropology galleries, but to be honest, with only two hours, I couldn’t have done them justice anyway. 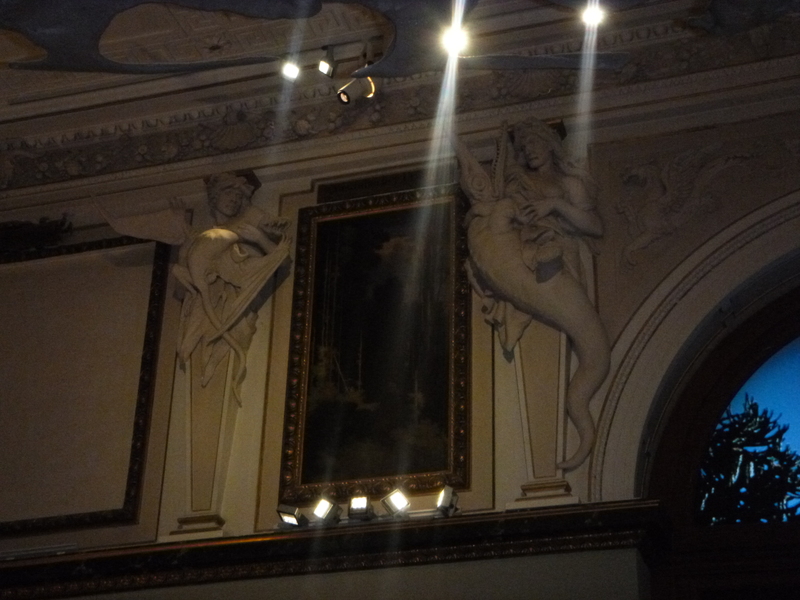 Below are a few photos to show just some of the brilliant things about this Museum, but there are so many more! One great thing for me was that most signs were in German and English. 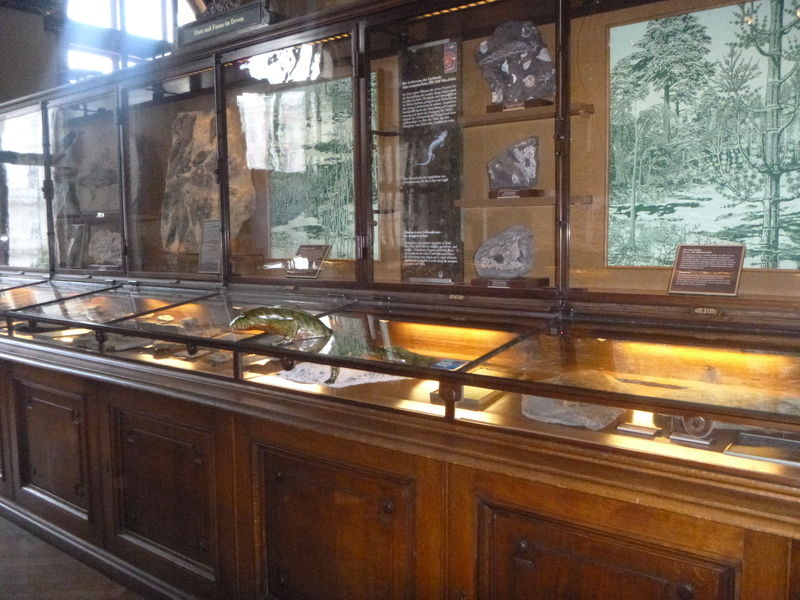 Just your average dinosaur gallery? Not quite! Little details actually jumped out at you! 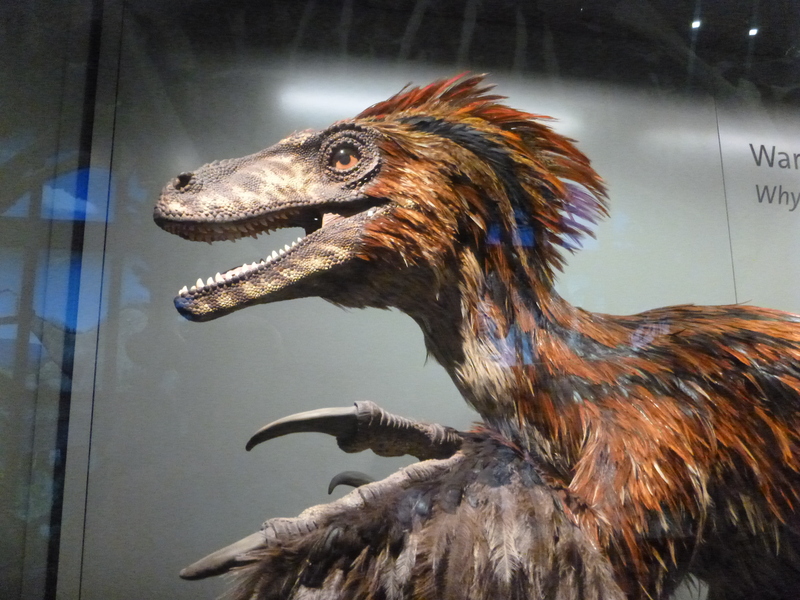 And they get extra points for having a feathered Deinonychus model! 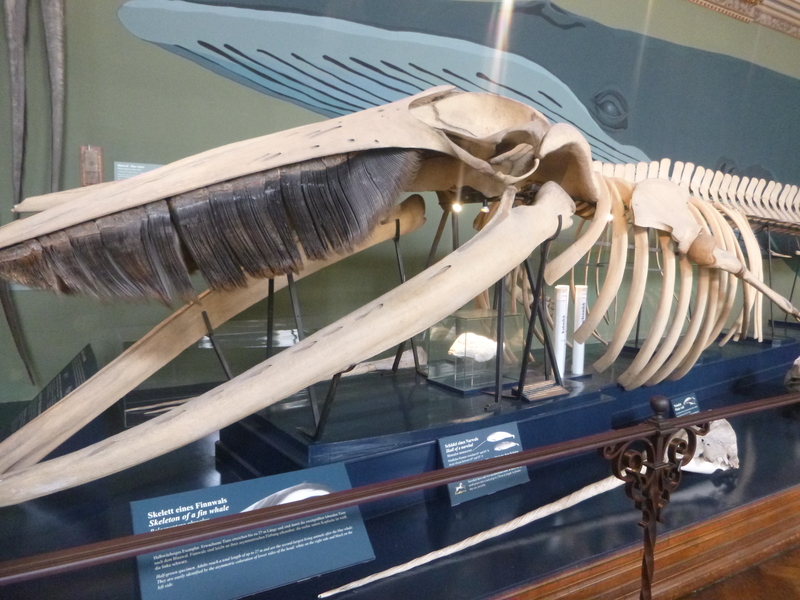 And objects were placed together that gave you new insight – look at the tiny white brain of this whale! 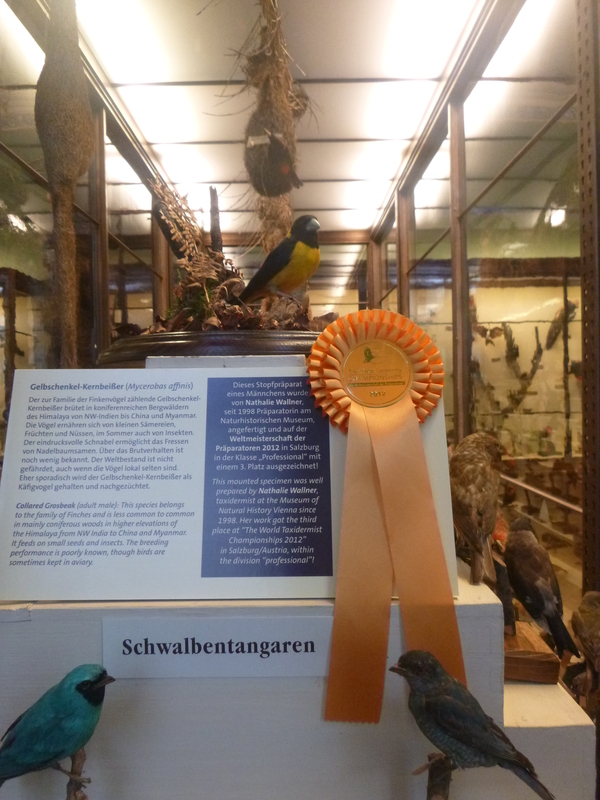 They even won prizes for their taxidermy and display – who knew you even could!?! Every part of the building had been thought about. 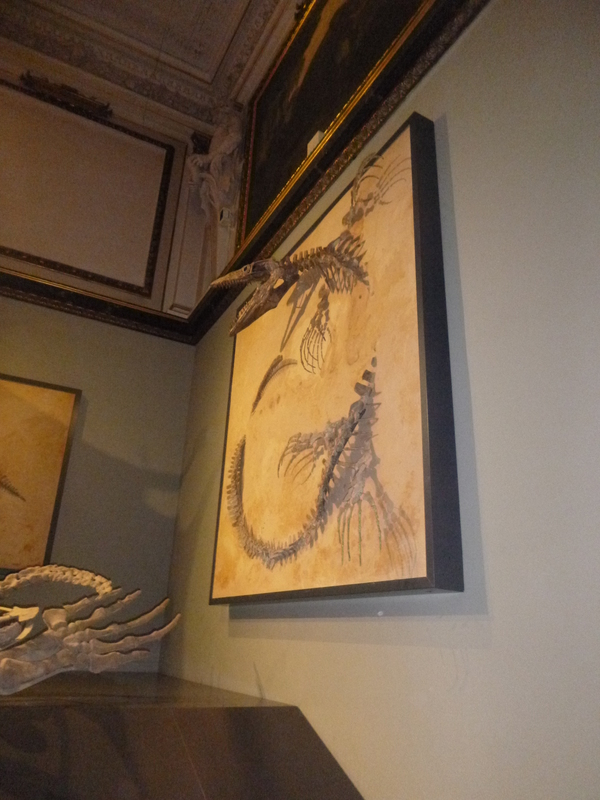 Even the windows were illustrated with microfossil drawings to emphasise their beauty. 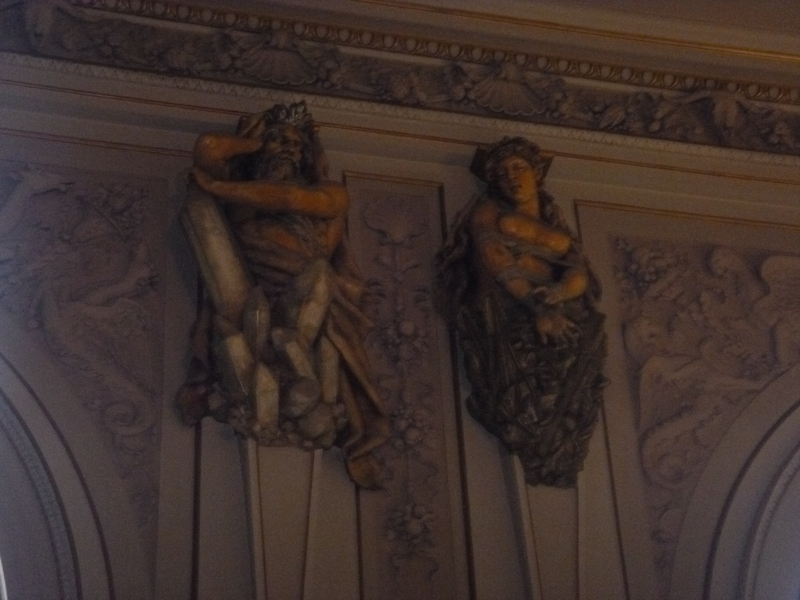 And the figures around the ceiling were just spectacular! And in case you were wondering – yes this does appear to be someone wrestling a pterodactyl next to someone with an icthyosaur tucked under their arm. That I simply did not have time to see them all. But one thing is clear…. NHMW – I will definitely be back!!! 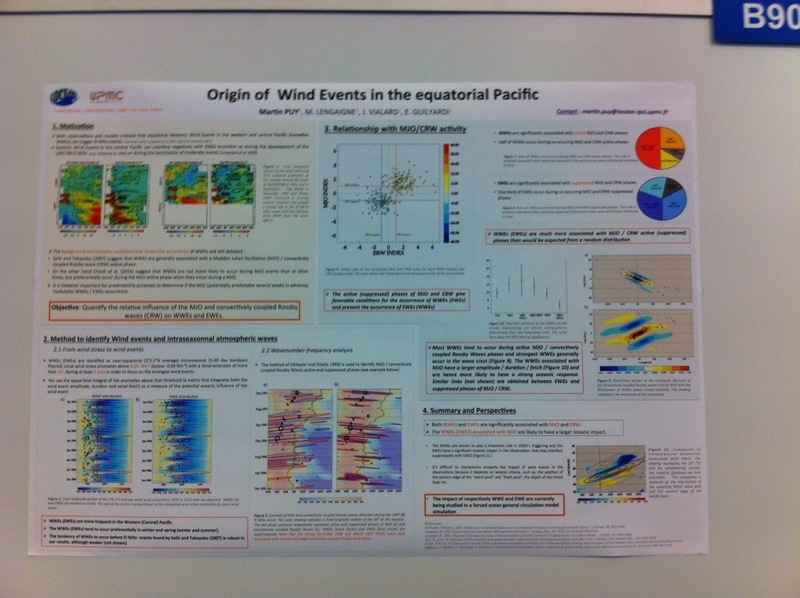 EGU 2014 Day 4 – Global catastrophes, uncertainty and can you ever know your audience? 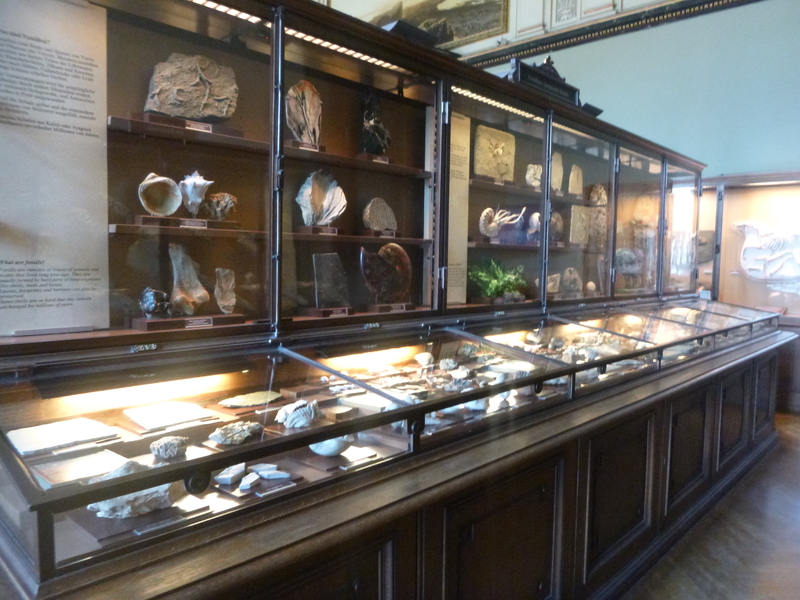 Day four in the big geology house…. Today started well, I took a little time in the morning to work on my presentation for tomorrow, but because I forgot to reset the clock on my computer I missed the workshop on applying for funding that I was aiming to attend. 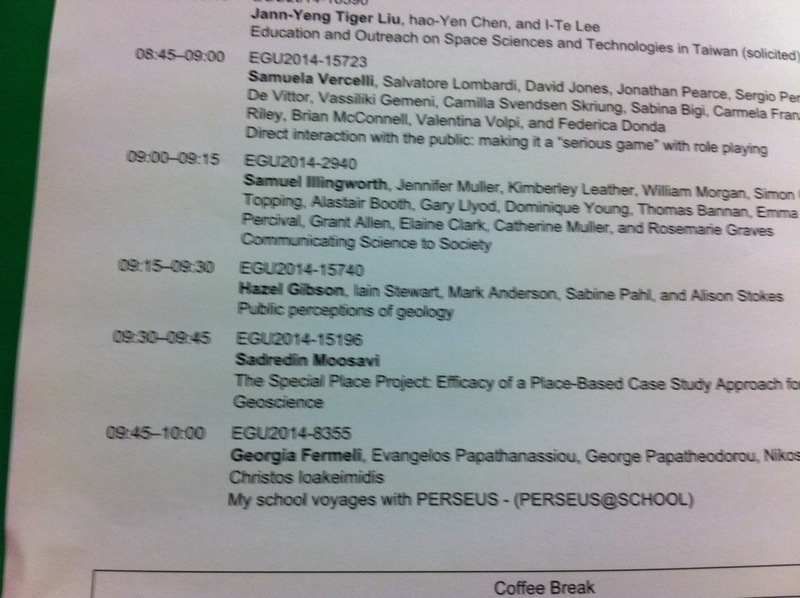 Nevertheless I made it to my first session of the day ‘Volcanism, Impacts, Mass Extinctions and Global Environmental Change‘ (SSP1.2/GMPV41) which is a session that has to win the prize for BEST NAME OF A SESSION EVER. I bumped into a lecturer from my University there, who seemed a little surprised to see me – he asked why I was there and I said ‘Global catastrophes? Of course I’m coming to this one!’ and he replied that he was there for the isotopes. Strangely the organisers seemed to underestimate the interest factor of such an epic session title, and had put the session in a really small room. People were crammed in all over the place, sat on the floor, standing by the walls, and every seat was full. You just can’t deny the pulling power of massive disasters. 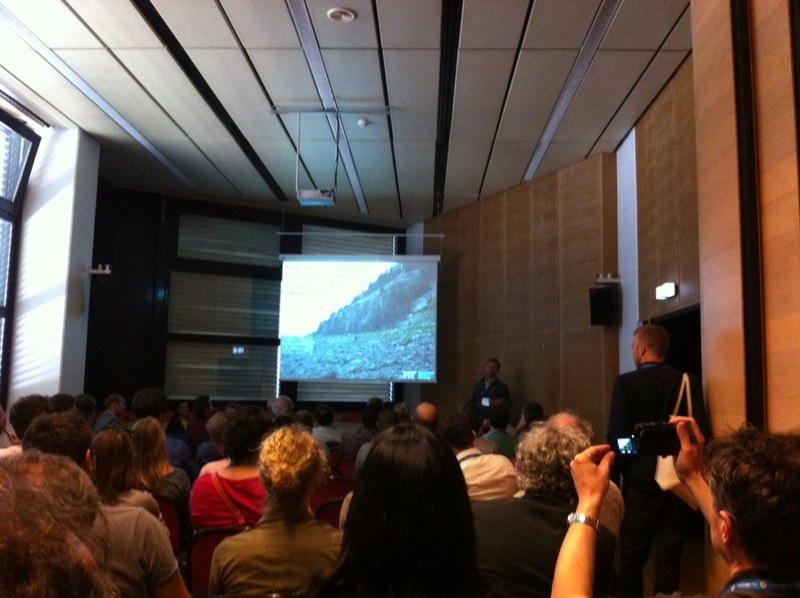 The talks themselves were great, a series of presentations on Tunguska and the Siberian trap flood basalts and their associated infrastructure. There were questions of whether magamatism could trigger a mass extinction, and if the dates of massive flood basalt eruptions did actually precede the extinctions? 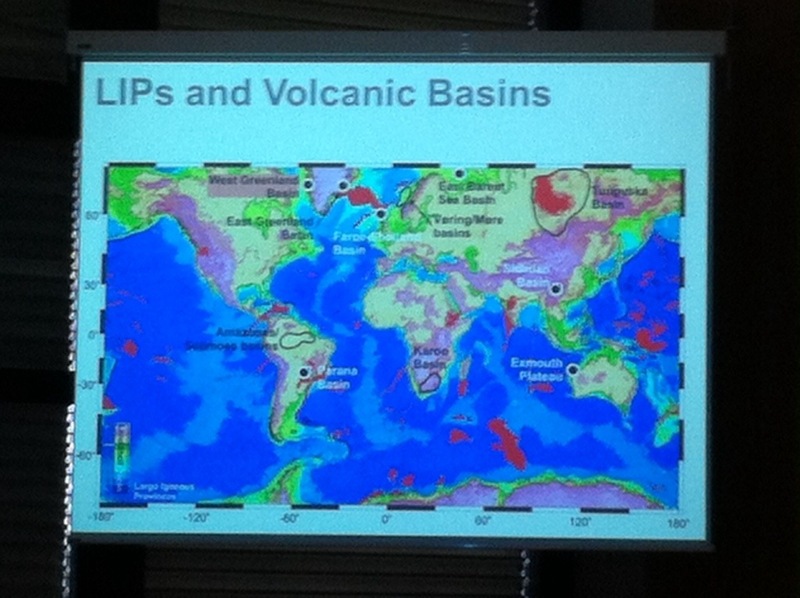 Seth Burgess did actually present data that suggested the main body of the eruptions did actually commence AFTER the extinction, but also recognised the problem of sampling bias – a common problem in the geological sciences – that you can’t always get the data you want because, oh, a mountain is on top of it. So you have to predict as best you can based on incomplete data. From the data that Seth Burgess had, he suggested that there was more than one phase of the eruption and that the lavas that couldn’t be sampled may actually contain sills that predate the extinction. 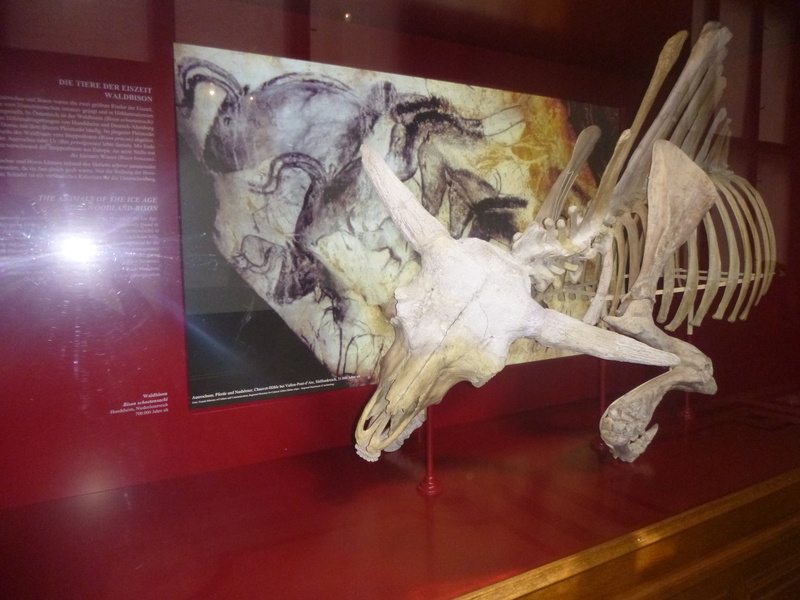 Later on the session, the extinction moved from the end-Permian to the Cretaceous. Now if you are unfamiliar with that name – think dinosaurs. It’s the one where the famous film should really have been called Cretaceous Park instead (and why it wasn’t I really don’t know!). The thing with the end-Cretaceous extinction was that it happened not only at the same time as a massive flood basalt, but at the same time as a massive (and famous) meteorite impact called Chixulub. Mark Richards from the University of California, Berkeley, told us that there was a 1 in 5 chance of all of these events being a coincidence, which isn’t really that bad. But when you include the size of the Deccan eruptions, the chance becomes 1 in 50, so it is hard to dismiss this as a coincidence. He suggested that another reason for the correlation, was that the impact could have triggered massive worldwide magmatic activity – in the same way that seismic triggers have been shown to induce magmatic activity on a much smaller scale. 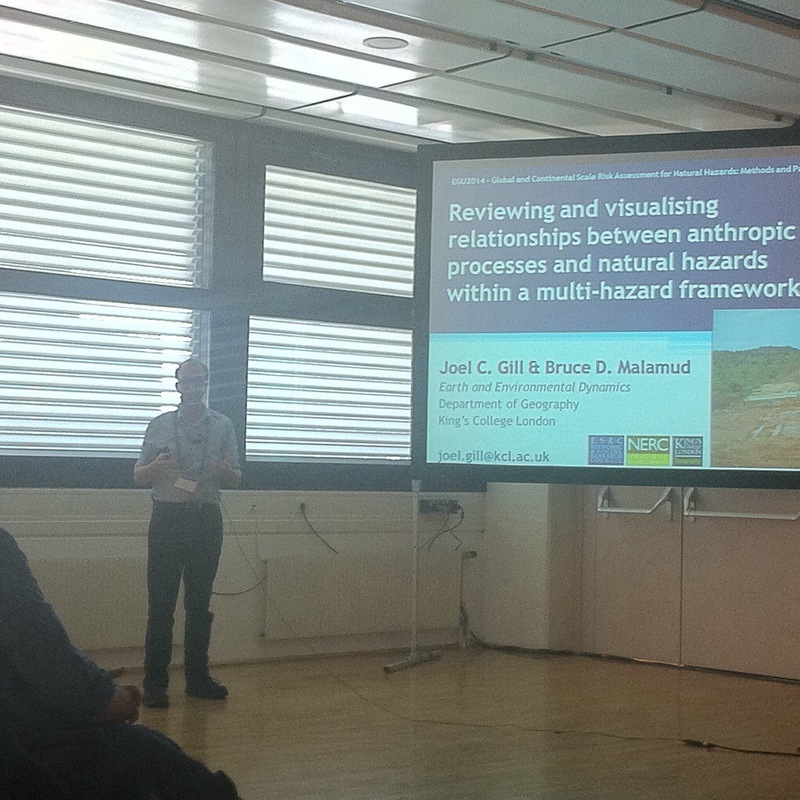 A question was asked however, if there was any evidenced for this systemic increased activity and although at the moment there is not, Professor Richards thinks that geochemical data could be available to support this hypothesis. So from volcanoes and massive meteorite impacts I thought I would move on to uncertainty and the ‘Communication of Uncertainty about Information in Earth Sciences‘ (SSS11.1/ESSI3.6), convened by R Murray Lark from the BGS. 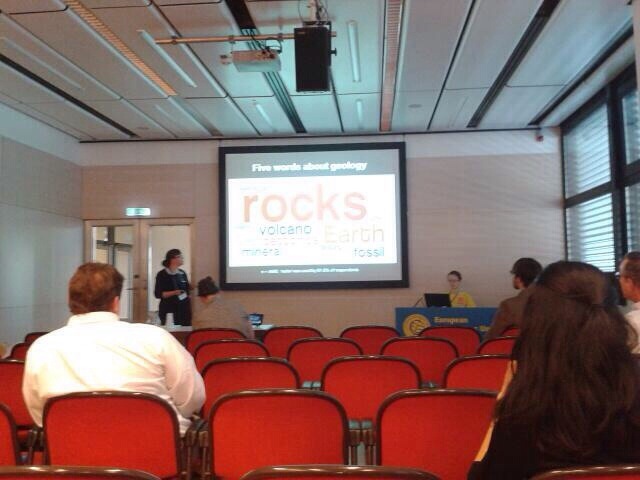 This session was all about how we, as geoscientists, represent unceratinty. 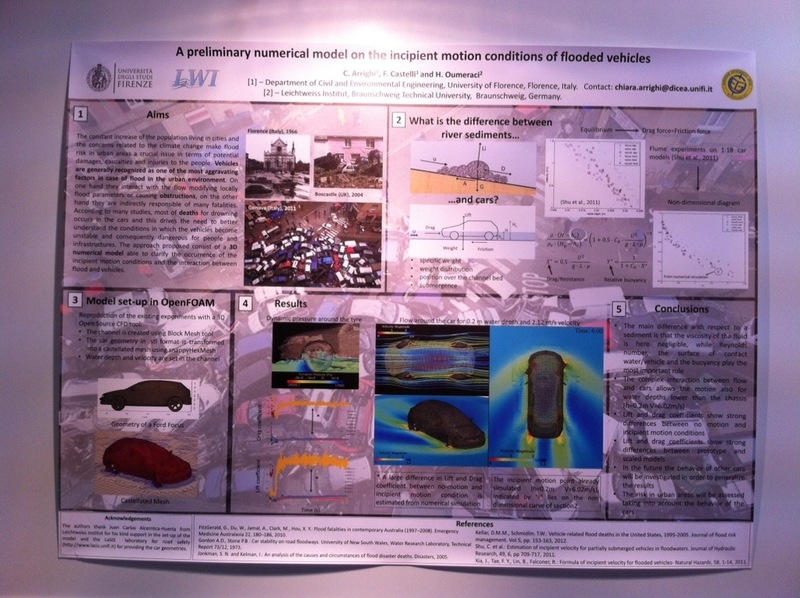 This is a really big deal, especially when you relate it to what I was saying above about sampling bias – a large amount of geological information is interpreted on, what the researchers would see as, less than perfect data sets. Now a lot of uncertainty work is based on how to represent a statistical analysis of the uncertainty to other geologists, but there is a growing interest in how we represent uncertainty to the public. 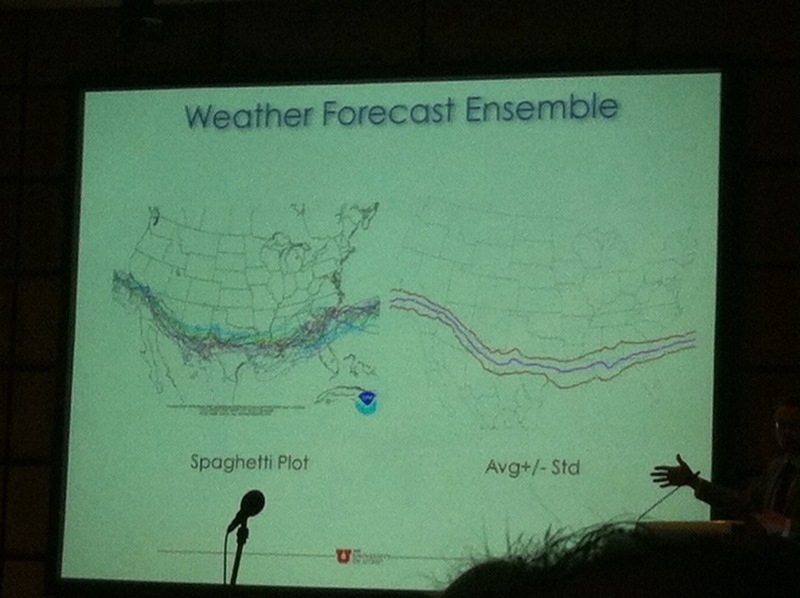 Robert Kirby talked about how using ensemble data (think hurricane tracks) can help people to understand different types of data simultaneously, but by using means and standard deviation statistical analysis you can extract more meaningful data (which may be harder to understand). What was interesting to me, was the suggestion that non-experts would have a better understanding of the value of ensemble data that statistically analysed data, but this hadn’t been tested yet. In fact a lot of the work on public understanding of uncertainty seemed to be based upon assumptions – so perhaps these were initial results of studies that were ongoing. The discussion covered a wide range of subjects relating to audience – can you ever know your audience, how do you know what your audience wants, where is ‘the room’ in a digital age? We even discussed the seemingly opposing views of should we even be attempting to communicate all forms of science (as some parts are genuinely too difficult to understand without four years of university education) and do we seek to maintain the ‘aura of mystery’ to preserve our academic importance? What was interesting here was the idea that as science communicators we all WANT to communicate every aspect of our science, but that is just unrealistic – and most people genuinely wouldnt care. What we have to do is make our science AVAILABLE instead. Finally I asked about training our undergraduates in science communication and Prof Schultz raised an interesting point – that our undergraduates often have a hard enough time writing scientifically first and that writing for a general audience from a scientific perspective – especially as a scientists – often means you need to understand scientific writing before you can communicate it back to the public. 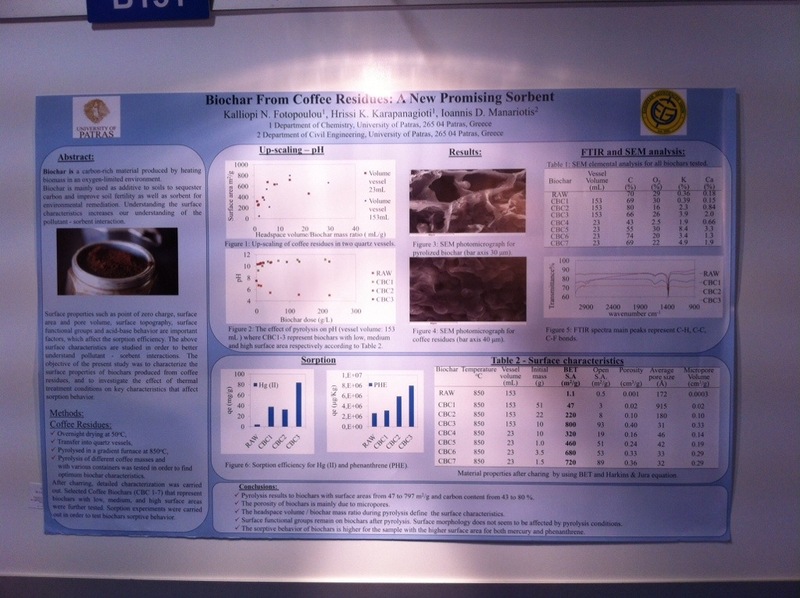 Also, he said, in his experience students already think they can communicate with non-scientists without training! This session finished at 8, so I trundled myself back to the hostel to prepare for my oral presentation tomorrow at 9.15am (eek! ).